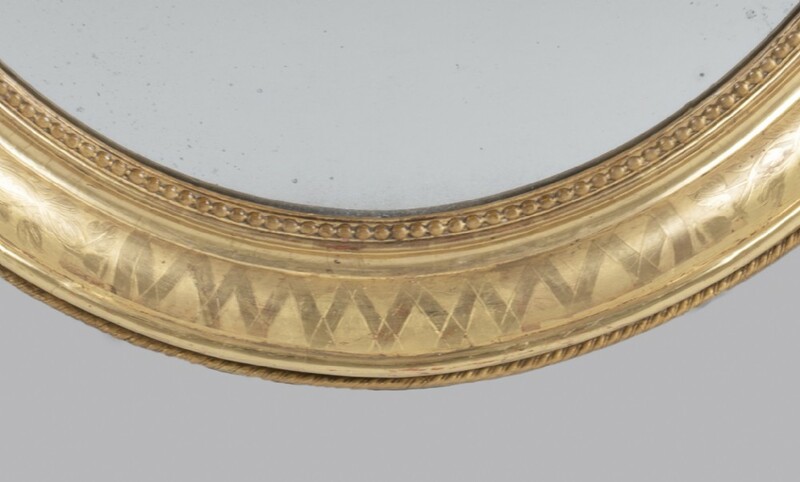 A beautiful French etched gilt oval wall mirror with its original glass and wood panelled back. 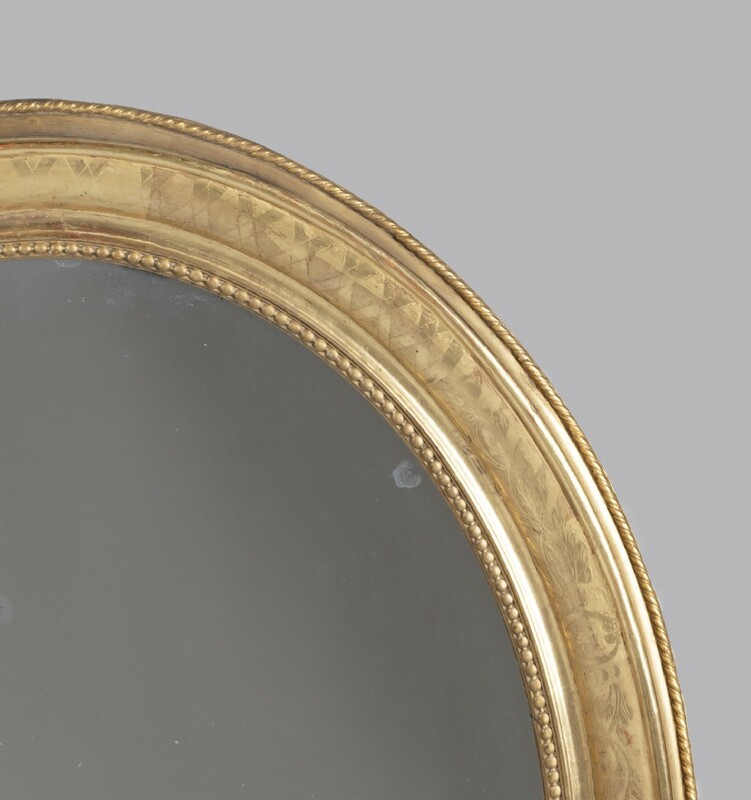 This French oval mirror is in very good condition with lovely gilding. 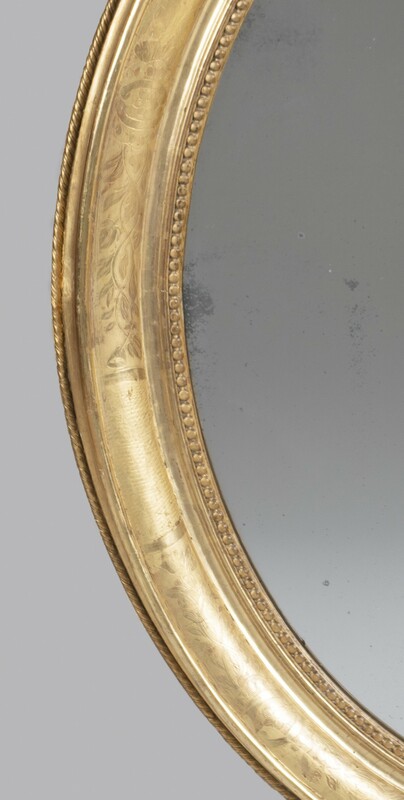 The original glass is also in good condition with some nice age foxing as can be seen in the images attached. 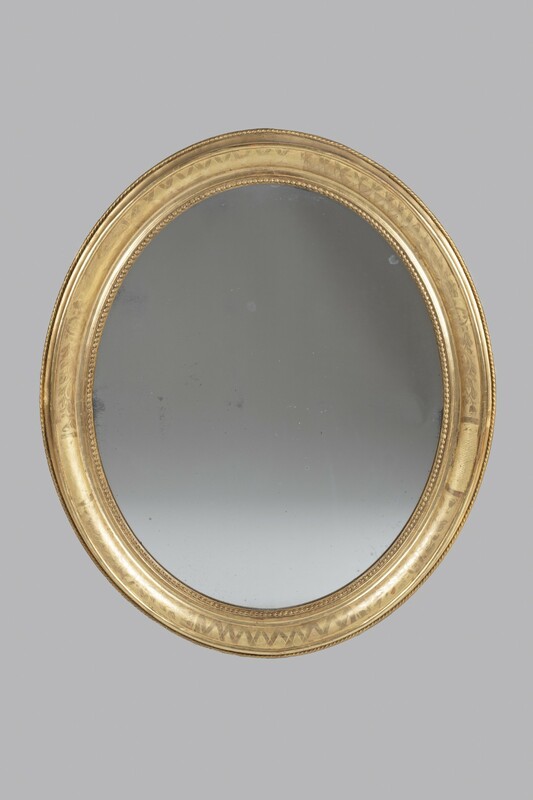 The 19th Century French Gilt Large Oval Wall Mirror has been added to your saved items.